Lori Compas said this in a recent opinion article. As executive director of the Wisconsin Business Alliance, she was referencing Wisconsin’s Good Roads Movement, a state-funded program in the early 1900s that reassigned the responsibility of roads from the local level of government to the state level. Improved rural roads connected farmers to the rest of the world and allowed them to transport their product to market. 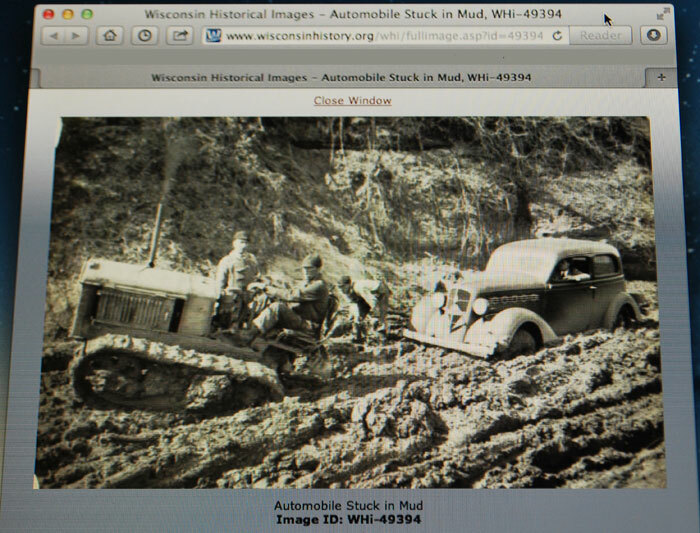 These same improved roads went on to benefit the lives of every other Wisconsinite by way of better education, medicine, tourism and manufacturing, particularly that of the automobile. Lori wisely used the Good Roads Movement to parallel our beloved Badger State’s need for improved rural Internet. Interestingly, small town and rural businesses are at the same crossroads dairy farmers were a hundred years ago. Non-urbanites lack affordable, high speed Internet. They’re stranded in muddied lines of slow DSL and deprived of important education, employment and business opportunities. Hey, Wisconsin isn’t the only state isolated from the information highway. This is a rural dilemma nationwide. As part of the American Recovery and Reinvestment Act of 2009 (ARRA), $7.2 billion was appropriated to ensure that “all people of the United States have access to broadband capability.” Part of this became subsidies to companies like Echostar (Hughes Network), Spacenet and Viasat (Wildblue Communications/Exede), who in turn offered free setup and discounted rates to new satellite broadband users. Another portion was awarded as grant money to specified states for technological development. Originally, Wisconsin was one of these states. But whenever change, money and politics (of course) are involved, nothing is easy. In Wisconsin’s case, a clash surfaced when the federal grant regulations got in the way of big corporate contracts. To the dismay of many, the state’s government chose to return the funding. All politics aside, poor Internet is frustrating at least, debilitating at most. Today, self-employment and small businesses are the fastest growing sectors of our economy. They’re an obvious answer to the unemployment in many rural areas. Yet, reliable Internet is an absolute must for a majority of these jobs. Here’s the thing—most people living in cities aren’t aware of this not-so-remote problem. To help with that, I made this little (and highly unprofessional) video of a typical workday with my Internet. Wisconsin roads are a great correlation. One could also use electricity and the phone lines. It’s not like anyone is trying to get out of paying for Internet. It’s just that if they’re going to pay a huge monthly fee, they want it to work. And work well. It would be better to use that government money as incentives to designers to make lighter weight pages that would fly over low-speed connections. The average page weight today is 1MB. I still shoot for 35K to 50K static HTML & CSS pages. Government thinks making the machine go faster is the solution but designers will just hog up whatever is alloted with more front-end decoration and video. Interesting thoughts, Steve. And something designers definitely need to keep in mind.